Looking for Minnesota road trip ideas this summer? You’re in luck! The St. 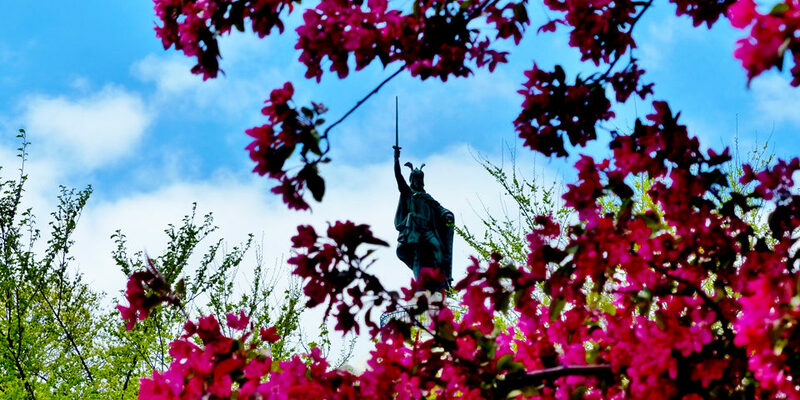 Cloud Times named four statues you need to see on your next Minnesota Road Trip and New Ulm’s Hermann Monument made the list!! It’s time to pack up for friends, family, dog, or whoever, and put New Ulm on your road trip agenda! 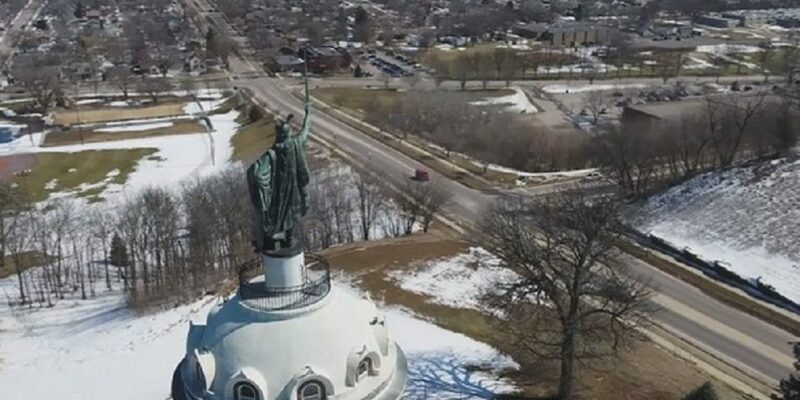 The Hermann Monument is a 102-foot statue that towers over the town of New Ulm. It depicts Hermann the Cherusci, who is regarded as the father of German independence and a symbol of German-American honor and pride. He was commissioned in 1887 by the national “Order of the Sons of Hermann,” and was completed in 1897. The 4,000-pound statue is the third-largest copper sheath statue in the U.S.! Visitors can climb a staircase to the base of the statue for a stunning, panoramic view of New Ulm and the Minnesota River Valley! The monument is open from 10 a.m.- 7 p.m. daily from Memorial Day to Labor Day and Saturdays and Sundays in May, September and the first three weekends in October. Admission is $3.00 per person, ages 5 and under are free with paying adult. Children under 16 years of age must be accompanied by an adult. The monument isn’t the only great place to visit while on your Minnesota road trip! There are plenty of other great places worth visiting! You can take a tour of the August Schell Brewery, dance around the Glockenspiel, shop at a number of our unique specialty stores and boutiques, or pig out at any of our wonderful restaurants! Click here for a full list of road-trip-worthy attractions! The Star Tribune named New Ulm the best small town for history buffs, and Expedia Viewfinder named us one of the best places in America to spend the weekend! So come for the day or stay for a few! There’s plenty of charming and truly unique things to do in New Ulm! Add New Ulm to your Minnesota road trip map! To see the full St. Cloud Times article, click here!